Marion has been a Licensed Clinical Aesthetician since 2000. Originally from the New York metro area, she has lived in Atlanta since 1992. She established her credentials in this field by working for both a dermatologist and a plastic surgeon in the Atlanta area. In 2003, Marion became a trainer and certified practitioner in the use of ELR (Energy Light Rejuvenation), commonly known as microcurrent treatment. 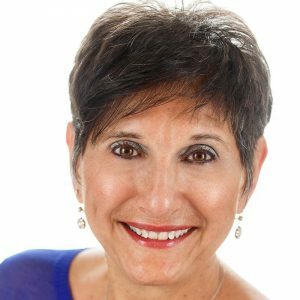 In addition to her skin care practice, she travels around the US as a consultant, training fellow aestheticians, acupuncturists, physical therapists, nurses and doctors in the use of ELR to produce outstanding results in skin care treatments. Marion does continuous research to find the most advanced procedures and products to share with her clients, to keep their skin looking its best. She utilizes life coaching skills with each and every client to assist them to feel good on the inside which increases their glow on the outside. Copyright © 2019 Inside Out Skincare. Designed by	Klasik Themes.